Yumi makes it easier to feed your baby fresh, nutrient dense food. Recognizing the importance of nutrition in the first 1,000 days of life, Yumi’s intelligently designed blends provide balanced meals to support babies’ neurological and physical development at every age and stage. To ensure maximum nutrition and flavor in every spoonful, Yumi utilizes an in-house team of experts which includes holistic nutritionists, plant-based chefs, doulas, doctors and more. Founded by former private equity executive Angela Sutherland and former Wall Street Journal reporter Evelyn Rusli, Yumi offers both single- ingredient purees, as well as its signature blends in over 60 flavors, delivered right to your doorstep. 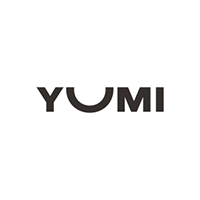 Since its launch in 2017, Yumi has emerged as a leader in early childhood nutrition, with coverage in the NY Times, CNN, goop, Vogue, WSJ, Food & Wine, Business Insider, Fortune, and Forbes, and has generated a following of Hollywood parents including Jessica Alba, Molly Sims, Emily Deschanel, Whitney Port, Jamie Lynn Sigler, and Elizabeth Hammer to name a few. For more, find us at HelloYumi.com and on Instagram @Yumi.